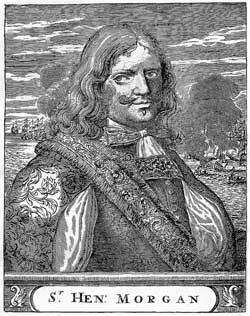 Pirates & Privateers : In your opinion who is the greatest pirate in history? Question of Antone (07.05.2015): In your opinion who is the greatest pirate in history? A: I think it's Henry Morgan (a filibuster). The capture of Panama is one of the largest expeditions led by buccaneers. He was eventually knighted a pirate hunter and appointed Governor of Jamaica. Beautiful prize! I heard about Bloody Mary and Davy Jones, but are they real or fictional pirates? Hello ! Here is a quiz question: What is the real name of the pirate "Big Robert"? The story of "Pirate of the Caribbean" takes place in what year? Thank you.